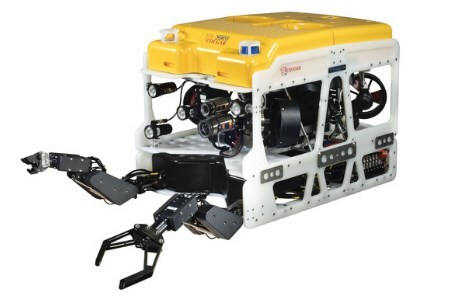 Offshore operator, Naviera Tramarsa, has extended its underwater robotic vehicle fleet with a new Cougar XT from Saab Seaeye to enter operations in May 2019. The Cougar XT joins their Saab Seaeye Falcon, operated by Naviera Tramarsa for 10 years. The company’s main activity is the inspection of oil platforms in the north of Peru for the hydrocarbon exploration and production company Savia Oeru, where the Falcon has undertaken visual inspections and CP measurements. Naviera Tramarsa say that the Cougar XT will expand and improve their ability to inspect, clean and perform non-destructive testing. Their Cougar XT comes with a high definition enhanced monochrome camera and a Kongsberg colour zoom camera, a Tritech Super SeaKing sonar, dual five-function manipulator, cleaning brush tool, CYGNUS ultrasound thickness gauge and pipe cable tracker. Naviera Tramarsa chose the Cougar XT based on the performance and reliability of their Falcon and the ‘consistently excellent support from Saab Seaeye over many years’. They see the Cougar extending their capability and efficiency for the benefit of themselves and their client. The 2000 m rated Cougar’s compact footprint makes it easy to mobilise and, despite its size, still provides the power and manoeuvrability to handle a wide range of heavy tooling and sensors. This extreme control comes from six powerful thrusters interfaced with a fast-acting control system.